You are going to love these savory roasted sweet potatoes! They are cut into cubes and baked to perfection. When I was growing up sweet potatoes were reserved for Thanksgiving dinner. We just didn’t seem to have them any other time of the year. Don’t get me wrong – we ate a ton of potatoes when I was younger, just never sweet taters. So I grew up believing that sweet potatoes were, well, sweet. Ya know, covered in brown sugar and marshmallows type of sweet. Y’all. I was wrong. So, so wrong. As good as sweet sweet potatoes are, savory sweet potatoes are where it’s at! 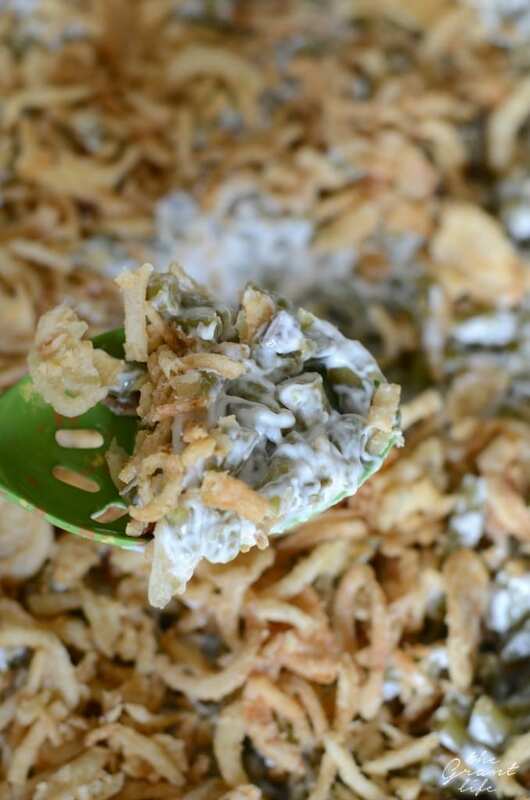 They are so good as a side dish or as an addition to a salad. I am all about these roasted sweet potato cubes. Here’s the thing – no matter what you do to a sweet potato it’s still going to be a little bit sweet. So even though I peel, cube, season and bake these bad boys, they still have a sweet taste to them. And I am not complaining AT ALL! I love a good sweet and savory combination, which is probably why I loved these roasted sweet potatoes so much. Pretty simple, huh? If you want to peel your sweet potatoes first, you will also need a good potato peeler too. Other than that, I would suggest a good knife and an unlined cookie sheet. I used two large sweet potatoes and they filled up my entire cookie sheet. Feel free to use more or less, depending on how many people you plan to feed and if you want any for leftovers. Also, it’s up to you if you want to peel them or not. I used olive oil for my roasted sweet potato cubes, but any oil should work. You just need a bit to drizzle over and coat the potatoes. The best part is that you can use whatever savory spices you prefer. I used some Nature’s seasoning but they are fantastic with garlic powder or just plain salt and pepper. How do you make roasted sweet potatoes? This is a very simple recipe with only a few steps to follow. To start you need to wash and dry your sweet potatoes. After that you can peel your sweet potatoes, if you like. I like mine without the skin so I peel them before I roast them. Next you are going to half your sweet potato, doesn’t matter which way. Then half it again and dice it into cubes. So cube your quarter of a potato. Repeat that process until all your potatoes are cubed. Just note – the larger the cubes, the longer they will take to roast so try and make all your cubes similar in size. 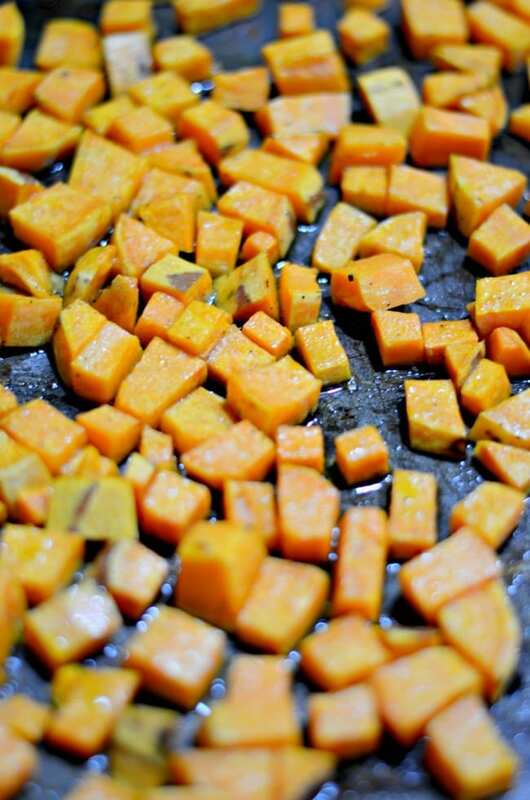 You are going to drizzle your olive oil or oil of choice over the sweet potatoes that are resting on a cookie sheet. Sprinkle with your spice and use your hands or a spatula to coat the potatoes. Bake at 350 degrees for 40 minutes or until they are fork tender. The key to crispy roasted sweet potatoes is flipping them half way through the baking process. So after 20 minutes you are going to want to flip your potatoes over. This is not required and if you don’t flip them then side faced down will get crispy and the other side will remain soft. 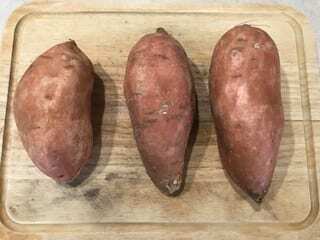 I personally love my sweet potatoes like this – a little crispy and a little soft – but feel free to flip them half way to get a full on crisp. And that’s it! 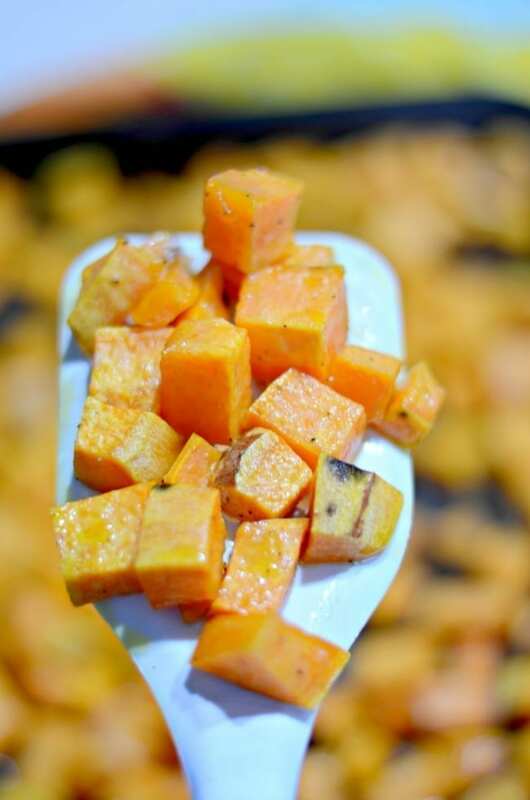 After baking you should have the tastiest little roasted sweet potato cubes ever. 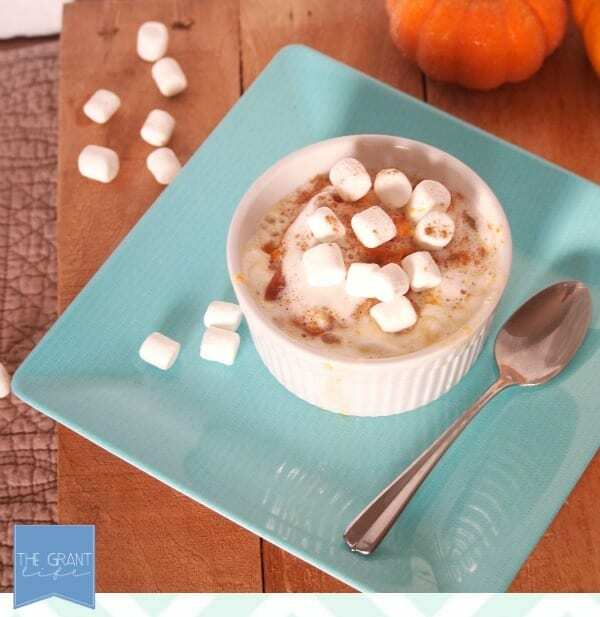 These are great at Thanksgiving or perfect in a fall salad. 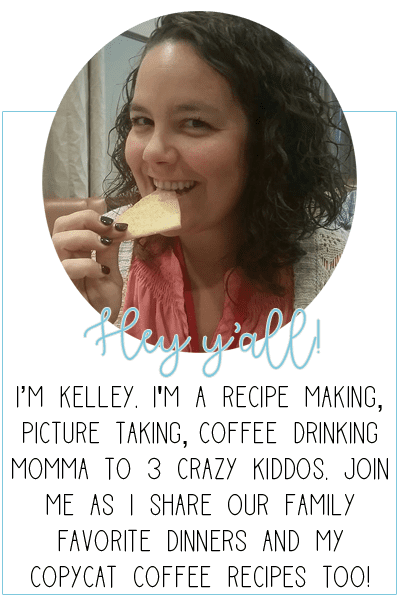 Or if you like, eaten straight off a cooled cookie sheet! 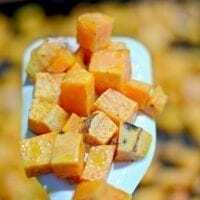 How to make roasted sweet potato cubes in the oven! 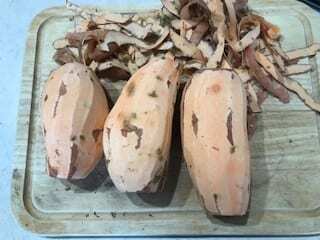 Wash, dry and peel your sweet potatoes. Cut your sweet potatoes in half, and then half again. 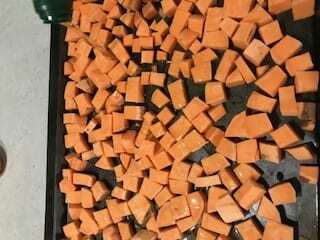 Cube each 1/4 of your sweet potato. 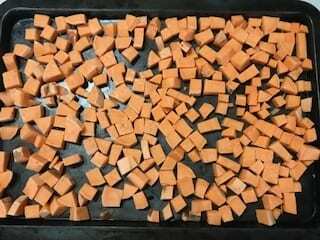 Place sweet potato cubes on a baking sheet. Drizzle the olive oil and then sprinkle with olive oil. 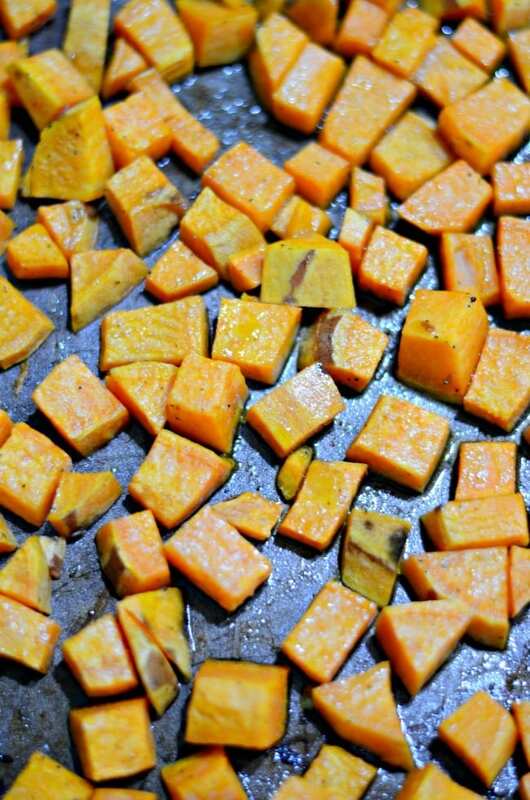 Bake for 20 minutes and then flip sweet potato cubes, if desired. Bake for an additional 20 minutes, 40 minutes total, or until your sweet potatoes are fork tender. Amount of sweet potatoes depend on size of your cookie sheet.